Make your tour to the Colosseum unique by entering directly from the Arena, the very same entrance gladiators used before their fights! 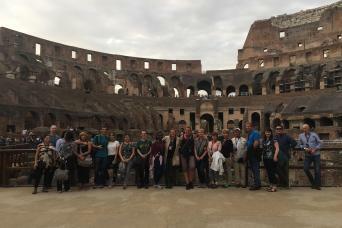 With a small group of maximum 25 people, you will be escorted by your English speaking guide inside the Colosseum, then to the Palatine Hill and the Roman Forum, where the public life of the Ancient Romans once took place. Do you want to make a journey through time and skip the long lines outside the Colosseum by getting a special entrance from the Arena? 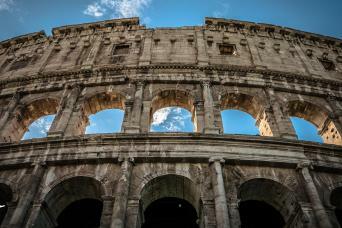 Our Colosseum with Entrance from the Arena: Skip-the-Line Guided Tour is the only answer! 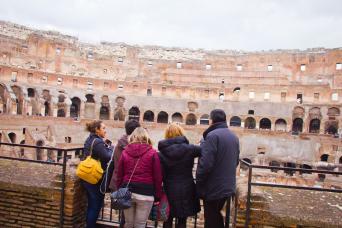 Our Guided Tour of the Colosseum with entrance from the Arena is the ultimate way to visit the symbol of Rome! You be part of a small group up to 25 people, led by one of our expert private guides... Ancient Rome will provide the perfect lanscape for the super friendly atmosphere you will enjoy altogether! Are you ready to have a great time? You will join your small group of 25 people maximum and an English-speaking guide in our office. You just need to walk a few minutes to reach the Colosseum, since our office is very close to it. Once get there, you will get to a special entrance reserved for this tour only. You will skip all the lines, all the chaos. This special tickets allow you to enter will let you enter the amphitheater directly from the Arena. Did you know this is the very same stage Gladiators used for their fights? You will feel exactly like one of them; it will be unforgettable! From the stage you, you will get to the ring around the arena. 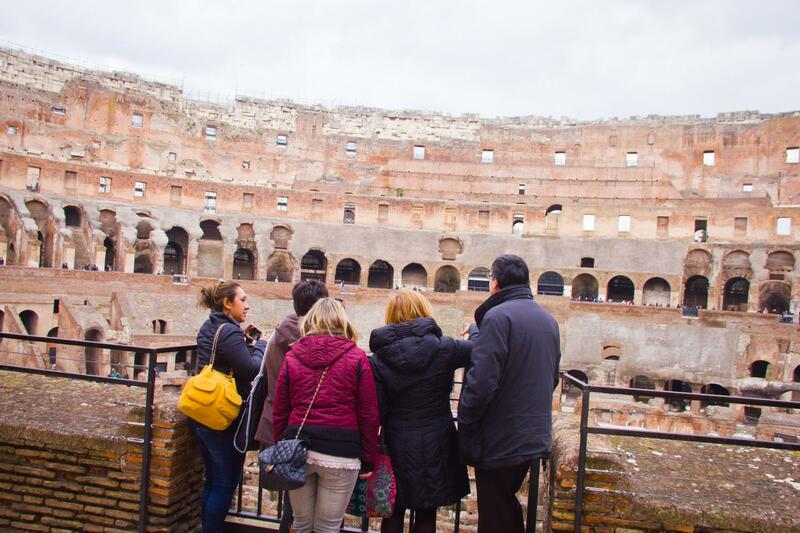 You can take an amazing view over the undergrounds, while our guide tells you everything about the history of Colosseum and Ancient Rome. All our guides are licensed and have a degree either in Art History or Archaeology and they know how to make everything interesting and fascinating. You will feel as you were living at the time of Roman Emperors, watching the fights between wild beasts and gladiators inside the Colosseum! Your 3 hours tour of Ancient Rome will continue one of Rome’s seven hills, the beautiful Palatine Hill. This is where Emperors and rich families used to have their houses and it maintained this majestic atmosphere. From the Palatine Hill, you can also enjoy the breathtaking view over the Roman Forum and Circus Maximum. The last stop is right down the hill to the ruins of the Roman Forum. This archeological area is where the spirit of Ancient Rome really lies, since public and social life took place here. 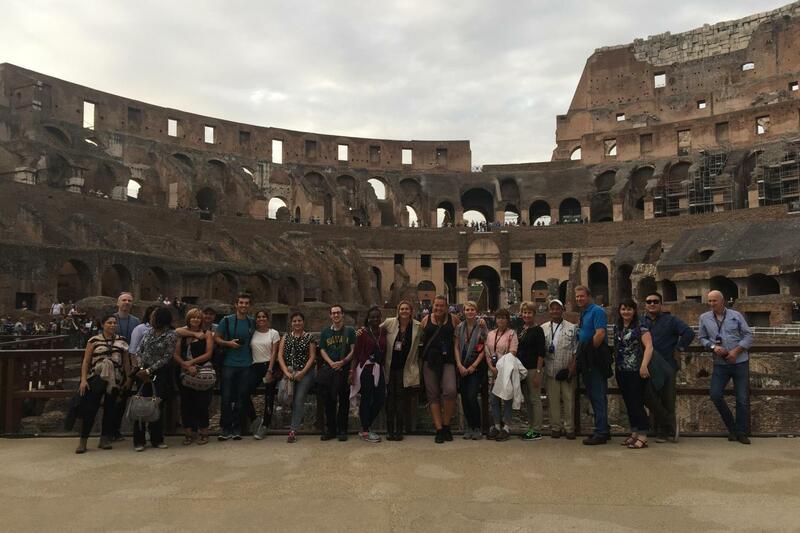 Our guides will display Ancient Rome’s historical panorama and they will use overlay books and 3D pictures to show you how each column, temple and building around you used to look like at that time. You will understand how living at that time truly felt like. 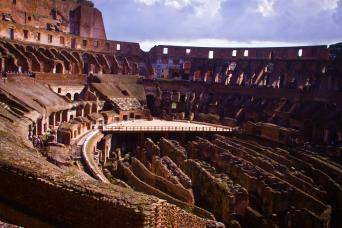 Visit the Colosseum entering from the Arena stage, skip all the lines and feel like real Romans! If you want to become Rome's greatest master while enjoying a plesant tour with your small group, this is exactly the kind of tour you need! 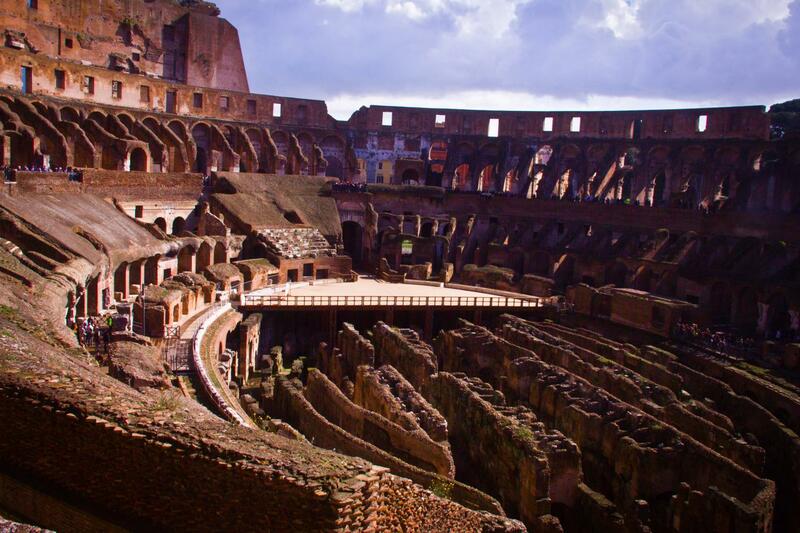 All you have to do is send us an enquiry or call on the phone... We will be glad to arrange for you the best Guided Tour of the Colosseum with entrance from the Arena!